If you want to work on-site and work towards becoming an Assistant Site Manager within approximately 12 months, this is the programme for you. If you’re interested in achieving a BSc (Hons) Degree in Construction or Quantity Surveying alongside a hands-on role learning the relevant skills then this could be the programme for you. This isn’t a specific Armed Forces programme but you are highly encouraged to apply. 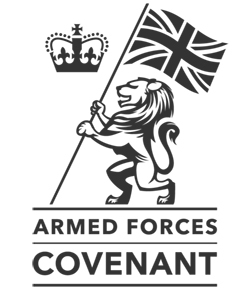 These are the two programmes most suitable for most people from an Armed Forces background. However if you feel neither is the exact fit you’re looking for then look around the site and at our open vacancies. Your experience is beneficial in almost every single one of our roles and we judge every application on its merits.